The latest addition to the modern recruiting process, social media background checks, may be the dumbest element. Unlike most background checks, they don’t verify positive job-related information. Instead, they are used almost exclusively to reject candidates based on a subjective reaction to things that the candidate did while off the job. If you are among the whopping 70 percent of employers that use social media background checks in order to screen new hires, take this as a wake-up call. Start your reassessment of this practice by becoming aware that there is literally no data showing that social media background checks accurately identify good hires or screen out bad ones. And then realize that they may unnecessarily result in the loss of qualified candidates who could do your job. To make matters worse, the social media screening process used by most firms can expose a firm to serious legal jeopardy because the search will for sure inadvertently reveal “out-of-bounds” information, like a candidate’s family status, religion, political affiliation, or sexual orientation. Start your assessment of the value of social media background checks by realizing that all forms of reference checking for a variety of reasons have an extremely low predictive value. I’ve written extensively on the many problems associated with the reference/background checking processes used by most firms. So, be cynical about using this new, extremely subjective, approach to background checking. Checking a candidate’s background on social media is a recent addition to the hiring process simply because social media information availability is barely 10 years old. But just because there is now a great deal of social information about an individual isn’t a justifiable reason for using that information as an assessment tool. Yet 54 percent of employers admit to rejecting a candidate based on social media information (which is mostly non-job related and outside-of-work-hours content). For example, 22 percent of employers admit to rejecting candidates because of something as innocuous as an unprofessional screen name. So despite the fact that they are widely used, take a scientific approach to social media background checks. And that means that you should only use selection and screening tools that have supporting data proving that accurately predict the on-the-job performance and the retention of new hires. If you’re considering adding a social media background checking step or if you want to audit the effectiveness of your current process, here are the top 10 problems that are most likely to occur. SM background checks don’t predict on-the-job performance — From both a business and legal perspective it makes no sense to use any screening process that doesn’t accurately predict on-the-job success or failure. And, unfortunately, most social media background checks are done using an ad-hoc, non-standardized process created by individual recruiters or hiring managers. Currently, there is no publicly available business or academic data on the effectiveness of social media background checking. Without data, a background checker can’t even accurately determine which of the many social media sites and what types of information (photos, alcohol/drug use, language) turn out to be valid screening criteria. Since social media background checks are mostly used to reject candidates, because those who are rated negatively are never hired, it’s almost impossible to tell whether a rejected individual candidate would have actually failed if they were hired. A superior approach to finding out if social media assessments are good predictors would be to assign each finalist a social media numerical score. Record it but don’t use it to make your hiring decision. After six months on the job, determine if there is a correlation between low social media scores and poor on-the-job performance. A non-standardized process produces inconsistent results — Most recruiters and hiring managers use their own self-developed process for social media background checks. And without uniform defined process, protocols, checklists, and performance metrics, there can be no consistent assessment of candidates. Legally, this means that the process will not be reliable. Without guidelines, in addition to assessing nonjob-related factors, background screeners may view information on nonstandard social media sites beyond LinkedIn, Facebook, Twitter, Snapchat, and Instagram. Discriminatory information will be seen and possibly used — during social media searches it’s almost impossible to avoid viewing off-limit hiring information that covers factors like religion, sexual orientation, political affiliations, and family status. And if the candidate has not yet been interviewed, the screener will likely see gender, race, age, and disability. Once this type of information has been viewed, the firm will now have the burden of having to prove that it did not use this off-limits information to make its hiring decision. Of all the social media sites, only LinkedIn focuses on job-related information. All candidate screening should focus on assessing information related to the job. Most of the information that is found on social media sites covers areas that are “social,” which means that they cover activities mostly outside of work. For example, screeners often reject candidates based on the use or perceived overuse of alcohol, marijuana, or tobacco. These activities may be perfectly legal outside of work. And, if those doing the screening have strong religious, moral, or political convictions, they may screen out individuals for non-job-related reasons that they don’t agree with, including free-speech political activities, partying, and risqué behavior. High-risk hobbies and revealed medical conditions may, unfortunately, also be used as a criterion to screen out individuals. In some states like California, it may be illegal to use even valid background information that is more than seven years old. Almost all SM background checkers are untrained — The hiring managers or employees who conduct most social media background checks are often not trained in the proper approach and how to avoid the common problems. And, because most candidate rejection decisions are made quickly, the likelihood of unconscious biases impacting the decision is great. If you do provide education or training, make sure that the checkers learn to discount information that is more than three years old. 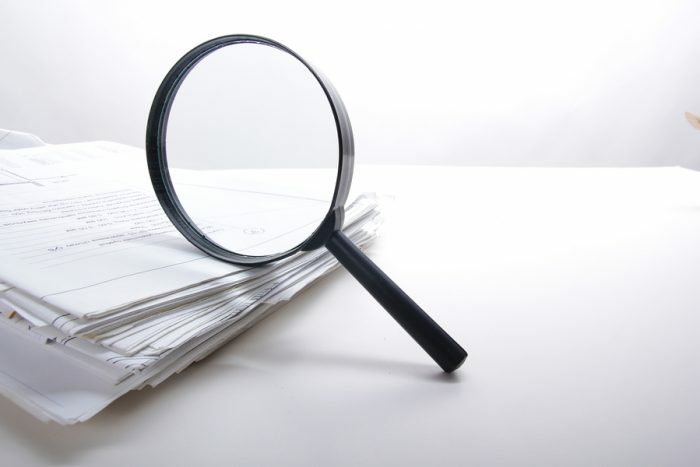 No documentation is created — for both legal and business purposes, background-checking content and conclusions should be fully documented. Unfortunately, because most corporate background checks are ad hoc, there is no written record as to what was checked and what factors resulted in an individual candidate being rejected. If a legal action should arrive, this will become a huge problem. The wrong person may be assessed — Many candidates have common names, or their social media names may not correspond with the name on their resume. So if they don’t provide you with their precise social media addresses upfront, there is a high likelihood that you may actually end up assessing the wrong individual. The information that is gathered will not be consistent — to fairly assess the backgrounds of different candidates for the same job, individuals must be assessed on the same information. Unfortunately, each candidate will have different amounts and types of information available. And that may make direct comparisons between candidates for the same job almost impossible. You may also find that the information uncovered by checking human references on job-related factors will be inconsistent with the information that you found on social media. Legal issues and an adverse impact is likely — because social media usage varies dramatically between individuals in different legally protected groups. The possibility for adverse impact is great. For example, younger candidates may post a higher volume and more revealing information, which might hurt their chances. There may be an adverse impact on women and individuals from some ethnic groups because they may be more likely to post family information. Using a foreign language on social media sites may also cause some candidates with non-USA national origins to be rejected. Some older candidates may not be on social media at all, which may result in an adverse impact if managers falsely assume they are either hiding something or that they are not up on technology. Finally, savvy users may have their social media information behind privacy walls, which may make hiring managers suspicious (note: some states have laws against requiring candidates to provide their social media passwords, and asking for these passwords may by itself scare away candidates who are concerned about privacy. For example, women who have been stalked or harassed online, identity theft issues, etc.). The background checking process can be time-consuming — because ad hoc processes are open-ended, background checkers may end up spending a great deal of time searching as they become engrossed in the individual and their background. In contrast, those who are rushed for time may take any small bit of information as an excuse to instantly reject someone, without going any further to get details behind the identified issue. The time investment is necessary because, unlike other types of reference checking, there is currently no way to automate the social media background checking process. Standardize and provide education — Help to standardize the process so that it is consistent, and educate those that use it about its pitfalls. Specify social media sites — Make it clear what sites are okay to check and what sites are off limits. Specify rejection factors — Make sure that checkers understand that only legal and job-related factors are to be used to assess or reject a candidate. All candidate rejections must be fully documented. Create metrics — Make at least a rudimentary effort to create a data-driven process and gather data showing that social media background checks accurately predict on-the-job success or failure. If this article stimulated your thinking and provided you with actionable tips, connect with me on LinkedIn and subscribe to the ERE Daily.